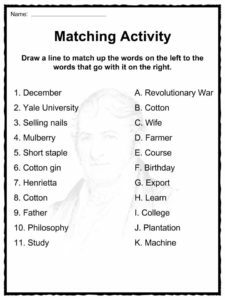 Eli Whitney was an American inventor best known for inventing the cotton gin. This was one of the key inventions of the Industrial Revolution and shaped the economy of the Antebellum South. 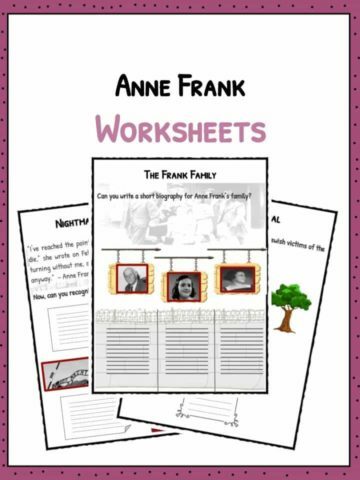 Read on to learn more about the inventions and life of Eli Whitney or alternatively download our comprehensive worksheet pack to utilise within the classroom or home environment. 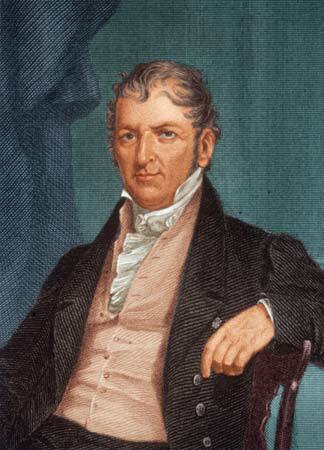 Eli Whitney was born on December 8, 1765 in Massachusetts. His father was a successful farmer, and Eli often enjoyed working with his dad in his workshop. He had two brothers and one sister. When Eli was 11, his mother died. Eli enjoyed figuring out how things worked, and working with tools and machines. When he was 14, the Revolutionary War was being waged, and Eli decided to make money by making and selling nails in his father’s workshop. It was quite profitable! He went to college at Yale University and graduated in 1782. 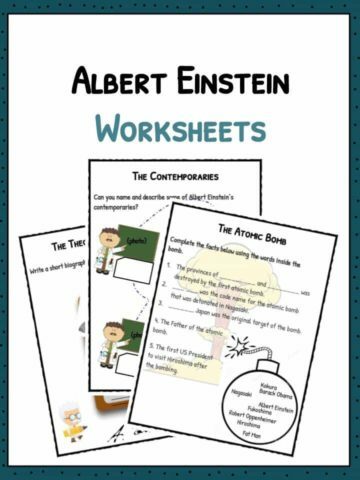 He studied math, Greek, Latin, and philosophy. Eli knew he needed to make money, so he accepted a job as a private tutor in South Carolina. On his way down, he stopped in Georgia, where he visited Mulberry Plantation, which was once owned by the Revolutionary war hero, Nathanael Greene. At the plantation, he spoke with Greene’s widow and her soon-to-be husband, Phineas Miller. Phineas and Eli would soon become partners in business together. 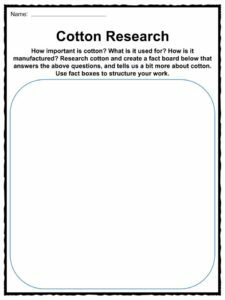 While visiting the various plantations in the south, and seeing all the cotton fields, Eli learned about the production of cotton; in particular, a type of cotton called “short staple cotton”, which was very hard to clean, and was also very expensive, because the seeds had to be removed by hand. Eli thought that maybe the answer to these problems was a machine that could remove the seeds from cotton plants quickly. He thought this would be helpful for farmers, as removing the seed from the cotton proved to be a very labor-intensive task. This task was putting a lot of plantations out of business. 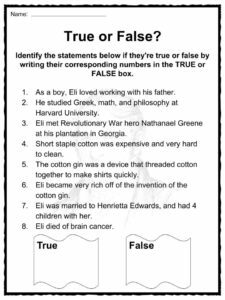 In 1793, Eli created the “cotton gin” (short for “cotton engine”) which was a device that removed the seeds from cotton plants. It worked by using a wire screen and small hooks with which to weave the cotton through. As a result, plantation owners could produce up to 55lbs of cotton per day. With the help of his business partners, he was able to patent the invention. However, due to people copying his ideas, he didn’t become rich. Plantation owners were the ones profiting from his invention, as they were able to produce a lot more cotton than they ever could using conventional methods. Although he didn’t make much money on the machine, he did gain a lot of fame. Some historians actually believe that the invention of the cotton gin created a higher demand for slaves in the south. 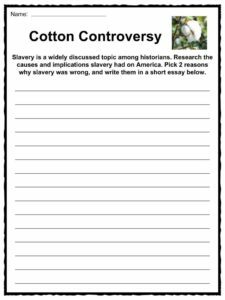 Before the invention, slavery was decreasing due to the cost of harvesting and picking cotton, but when the cotton gin was released, slaves became more valuable again. 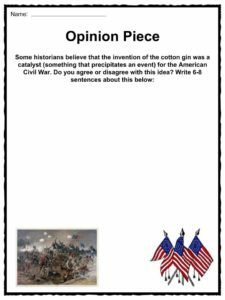 Some people argue that the cotton gin, and the subsequent demand for slaves, was the catalyst for the American Civil War. Furthermore, the increased demand for slaves also meant that these people were subject to gruelling working hours, minimal pay, and poor working conditions. Cotton quickly became America’s top export, accounting for 50% of the value of all goods exported between 1820 and 1860. As a result of his fame, Eli began working with the government on the manufacturing of muskets. Eli argued for the idea of mass-production of important goods and items. Eli also popularized the idea of “interchangeable parts”, which are components that are built exactly the same so that they will fit into any exact model of a product, without needing custom fitting. Eli also worked on developing the milling machine, which was a machine that used complex rotary cutters to remove material from the surface of a piece of work. On January 8, 1825, Eli Whitney died from prostate cancer. It is said that, in order to ease his pain, he actually created a machine that could alleviate some of the pain associated with his cancer. He left behind his wife, Henrietta Edwards, and 4 children. 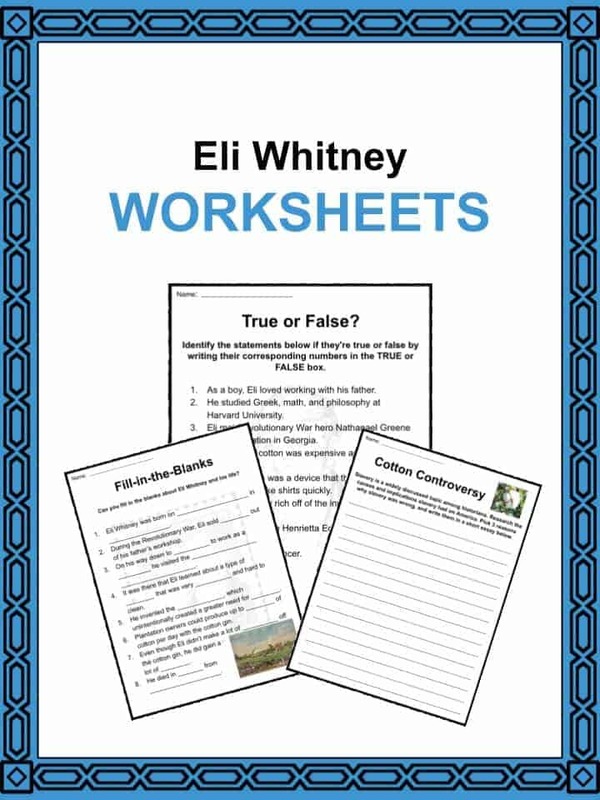 This bundle contains 11 ready-to-use Eli Whitney Worksheets that are perfect for students who want to learn more about Eli Whitney who was an American inventor best known for inventing the cotton gin. This was one of the key inventions of the Industrial Revolution.